Fan-unfriendly: Worries about the TPP trade treaty continue to grow overseas, especially in fan circles, as some provisions in the treaty would endanger fan creations all the more. I've written before about how one of the nasty side effects of the treaty as currently drafted (or at least as we think it's currently drafted, since us Mere Mortals aren't permitted to read it upon pain of being sent to bed with no dinner and no TV) is that it forcibly extends copyright to a longer term. 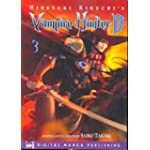 Japan's term of copyright is life of the creator plus fifty years, meaning that a great many works currently in the public domain would be abruptly yanked back out of it. Not cool, to put it mildly. The doctor is back in: Here's a project I don't know whether to love or hate: an animated adaptation of a prequel story to Osamu Tezuka's Black Jack, a classic series (in English thanks to Vertical, Inc.) about a mercenary surgeon who takes the cases no one else will touch. This series will concentrate on the good doctor's early years as a medical student in the 1960s, so I'm betting there's going to be plenty of opportunities to show him as a dashing young thing (albeit still with those patchwork scars; he got those real early on in his career) as well as perhaps some period atmosphere. If I'm on the fence about this one, it's not only because I'm leery of any remake/revisitation of a classic property, but because this one has already been manhandled a few times — e.g., when a new artist redrew many classic Black Jack stories and thus destroyed a good half or more of the reason to read them in the first place. That said, I have to be realistic about how difficult it is to get any attention at all called to a classic property, and sometimes this is the only practical way to make that happen. 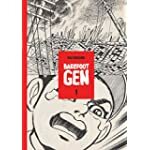 A noble cause: Last Gasp has ginned up a Kickstarter to have the classic manga of the atomic bombing of Japan, Barefoot Gen, put back into print — but specifically so that it can be placed into schools and libraries across the United States. Under the skin, theirs and ours: Vice got up-close and personal with black anime fans about cosplay and fandom generally. Not everyone is thrilled with the tenor of their coverage, though (1,2). Oh Mai: SNK Playmore's intellectual property portfolio has been snapped up by a Chinese company with "Marvel-like" ambitions to create an entertainment platform out of it. If this means another Fatal Fury OVA, sign me up; I have a terrible weakness for the magnificent cheesiness that production exuded. A vanishing beauty: Pico Iyer talks about the destruction of the fabled Hotel Okura in Tokyo, whose distinctive architecture was the product of real artistic vision, not just the fads of its moment in time.